The #Seagull exhibition had been held 1 – 4 of February within Moscow Dive Show 2018. The Show becomes more and more popular, and this year it attracted 20 000 visitors from different countries. 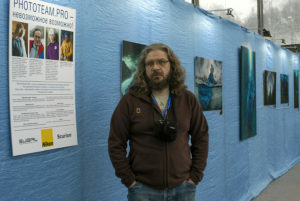 24 meters of walls decorated with blue fabric and unusual photos showed to visitors underwater and under ice world of Lazurny Quarry, where the project had been performed. At the opening ceremony Viktor Lyagushkin’s fans presented to the photographer a crocheted camera created by artist Jesika Geut. 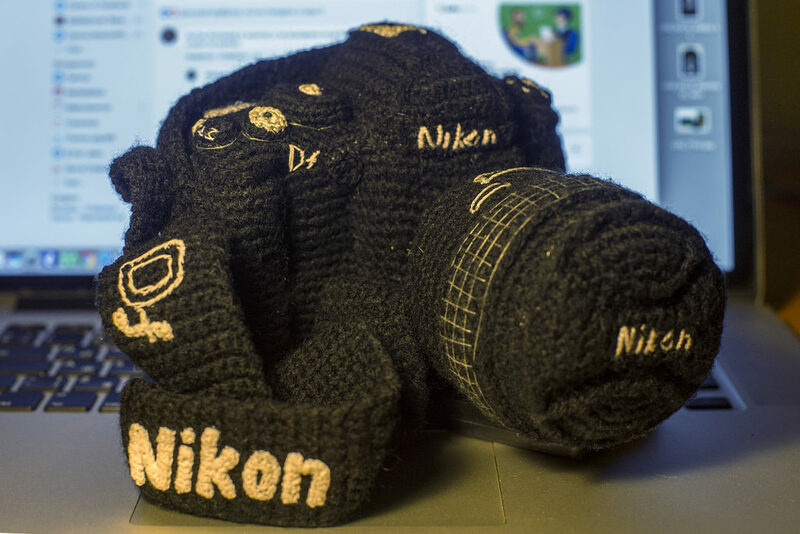 This is an accurate copy of the photographer’s favourite camera Nikon Df. This entry was posted in exhibitions, Uncategorized and tagged exhibitions, quarry, Seagull, Urals by SnowKitty. Bookmark the permalink.